Despite a tall fence dividing their yards, love has conquered the barrier. The two dogs live next door to each other and insisted on seeing each other every day. 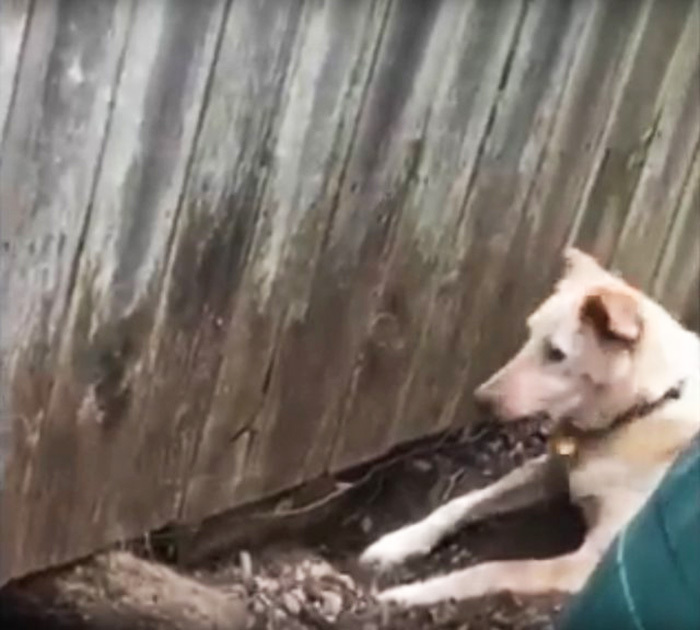 "I walk outside and catch them digging a tunnel to each other. We couldn’t get them to stop," Tates owner Hailee Graham told The Dodo. "We couldn’t keep them apart. They would just keep digging holes to each other." So, Graham had an idea. "Why not just put a door in the fence, so they can play whenever, and their humans don’t have to get involved?" She pitched the idea to her neighbors and they loved it! That weekend, the new doggy door was installed. Now Tate and Vernon can play with each other any time they please. 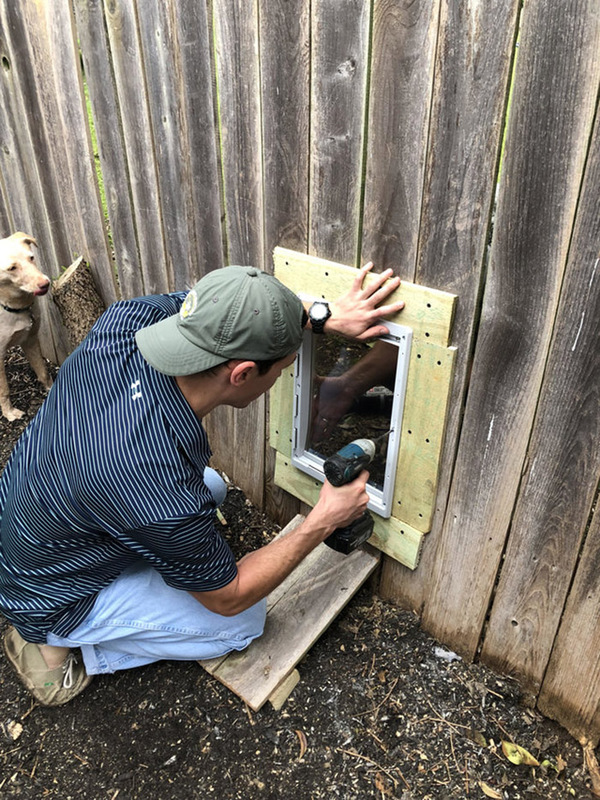 Though the idea might not work for everyone, Graham says she hopes other pet owners might be inspired to make their backyards more open, loving spaces. "I hope that it encourages people to be more friendly with their neighbors, and encourage a sense of community," Graham said. "It has worked out well for us so far."